Unsurprisingly most of my tshirts and hoodies are dive related, and they get washed and worn ad infinitum. This is certainly the case with my favourite hoodies. I recently audited my hoodies and realised that my favourites were really beginning to look scruffy. The wrists were frayed, the fabric was faded and I found various random holes in the material. Then I realised that they dated back to 2001 and 2004. (That time has passed far too quickly). 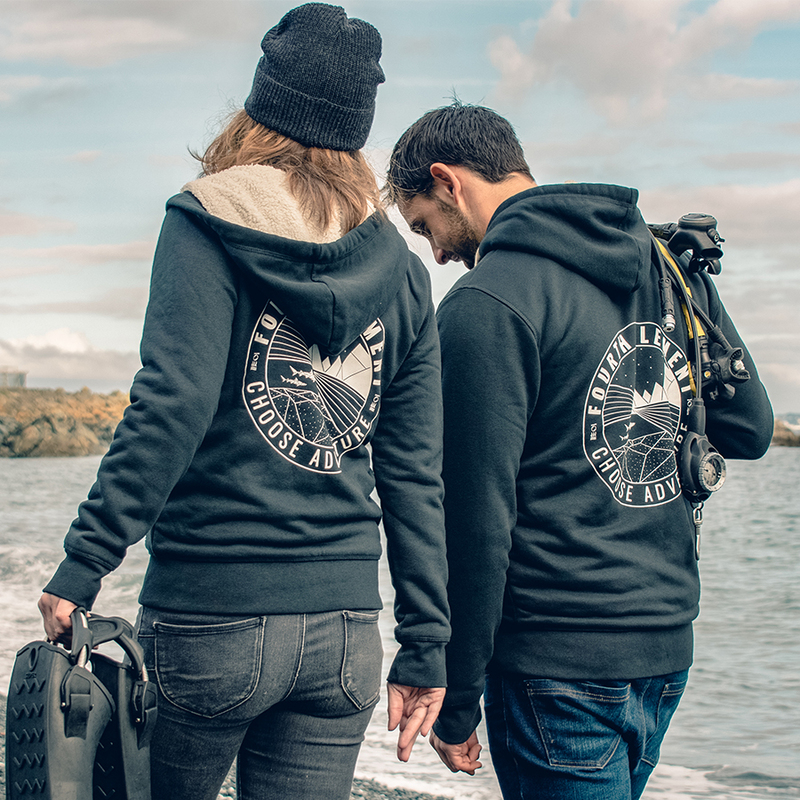 Sadly it was clear these hoodies need to be reassigned as "it doesn't matter so much if this gets damaged" divewear on boats or to run day-to-day errands. Time to buy a new 'posh' hoodie, so I went ahunting. My eye was caught by Fourth Element's latest offering in their 'Winter Life' Collection, a 'tech hoodie'. This was unveiled at the Birmingham dive show in October 2018. I grabbed one off the rail, popped it on, and was instantly struck at just how snuggly and warm it was. 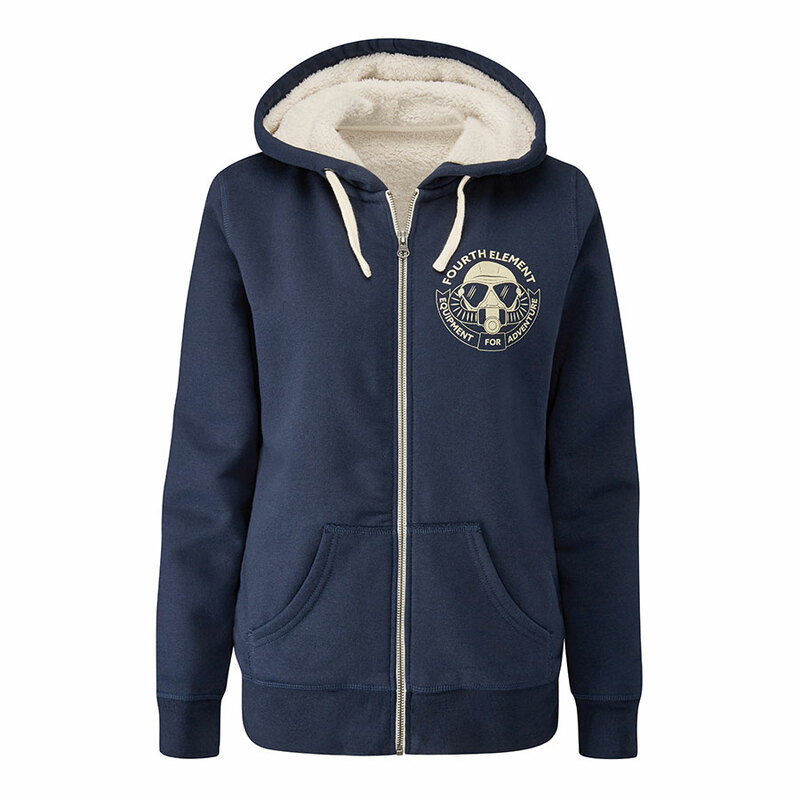 Fourth Element have lined this hoodie with a soft recycled polyester fleece and it is delightful to wear. What did equally surprise me was just how warm this hoodie was. I have a reputation for being a "Froz Roz", so I was stunned to find that I could ditch my coat and wear this during Autumn and into winter. It has been quite liberating being able to walk out of the house and not think "I must put a coat on." I found it so comforting to wear, I slept in it when I stayed at friend's house who believes that the central heating only goes on when they can see their breath in front of their face. (Thank heavens I did have this tech hoodie with me, otherwise I would have gibbered the night away). This "responsibility sourced" hoodie is easy to wash and wear. Just set the washing machine to 30°C / 86°F, don't use conditioner and put it on the line to dry. It has two hand pockets and one internal pocket that is big enough to take a large smart phone. Now let's see if I get get 14 years of wear out of this.